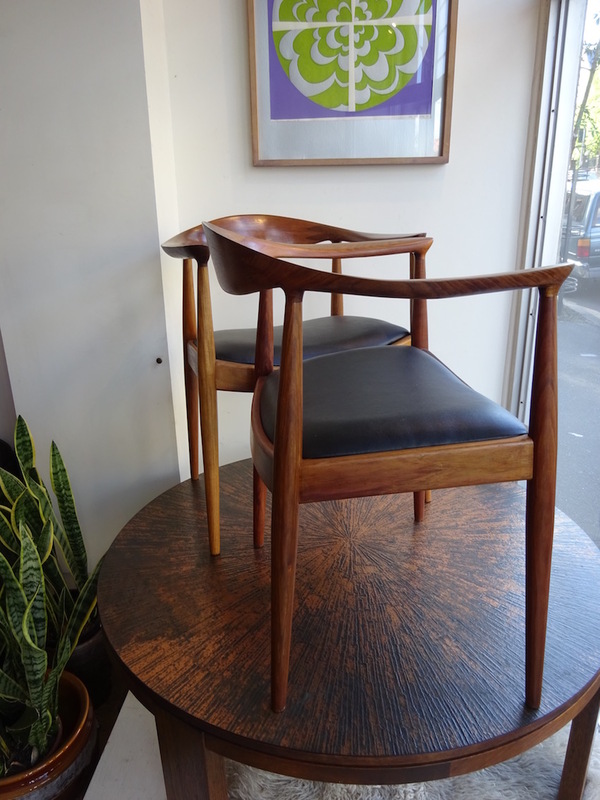 These early 1960s Wegner chairs were made in Melbourne in local blackwood timber. 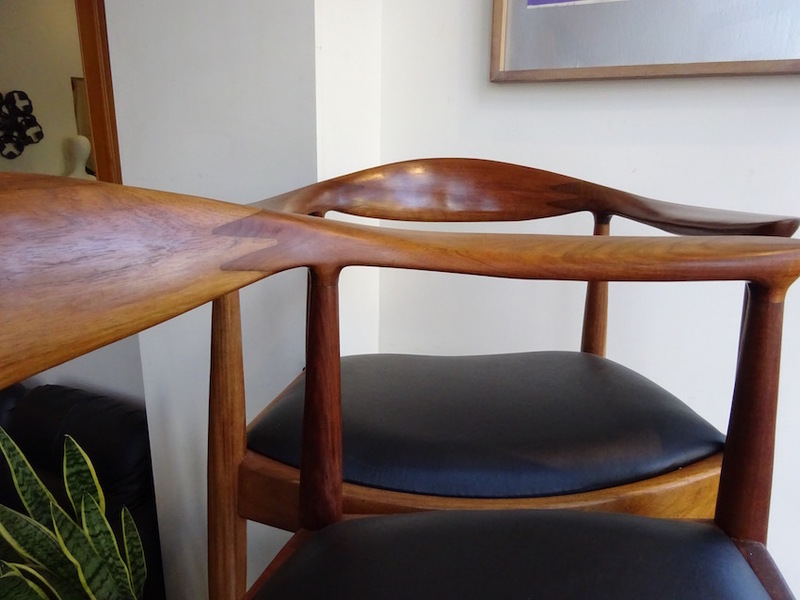 They are one of the nicest designs not only from Wegner but Denmark in general and with amazing finger jointed backs and balanced proportion they really are a stunning design. 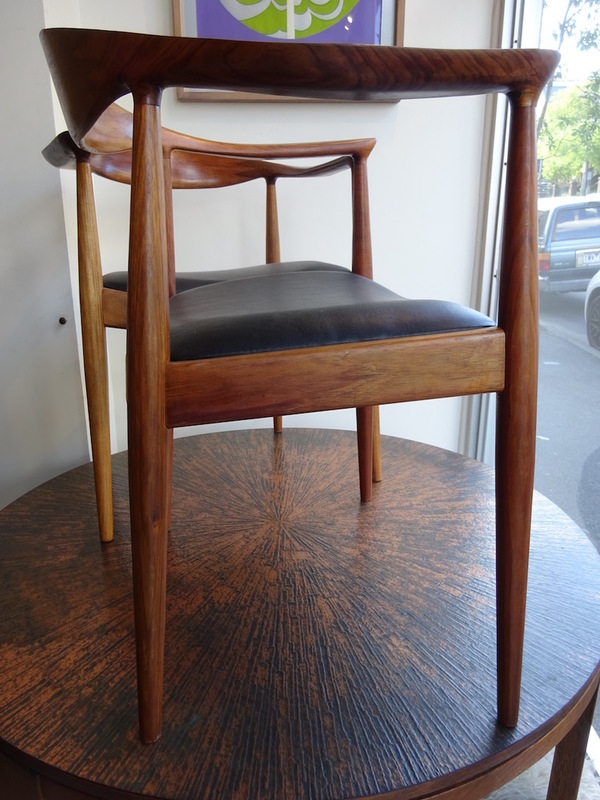 These iconic chairs were designed in 1949 but remain fresh today and are fondly referred to as “the chair” or round chair. 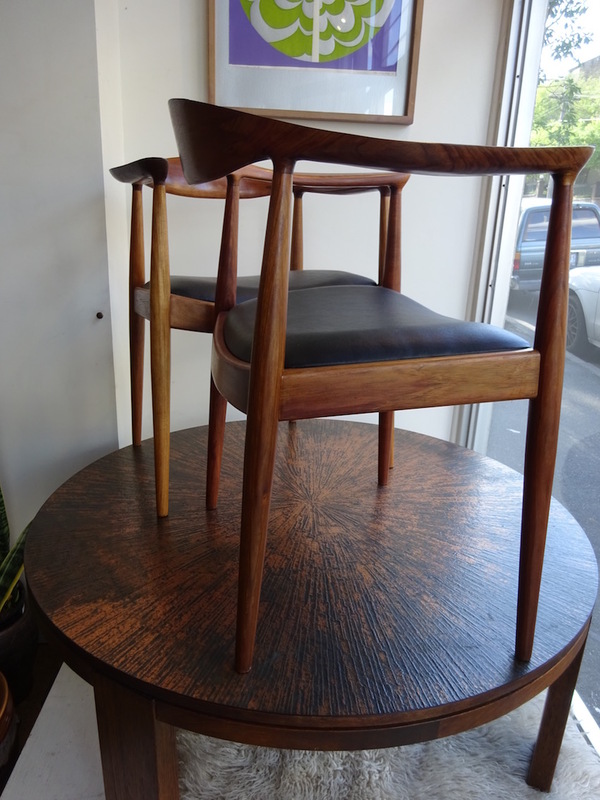 Unlike cheap Chinese copies these were made to last the test of time with this set remaining in amazing condition.